SOS-children are operating in several camps in Northern Iraq. Children and women mainly reside in these camps, and all have been subjected to devastating events when ISIS invaded their hometowns from 2014 onwards. Most of these families have been subjected to ISIS kidnapping and have multiple family members who have been captured or killed by ISIS militia. Little to no psychological support has been offered in these areas, and in setting-up base in Northern Iraq, SOS-children have began providing psychosocial support to these affected communities, starting with offering TRT to children in their Child Friendly Spaces on and off camp. Through SOS-children management team, a call for TRT volunteers was made from the camps and off-camp nearby areas. The first call was made in December 2016. Interested participants were interviewed and their names were registered for the training. Shortly after, the TRT manuals were distributed to participants, ahead of the TRT training. A total of 24 participants were registered to take part in the TRT training. A day ahead of the training Dr. Masa visited the management team and together began preparing the TRT implementation plan. 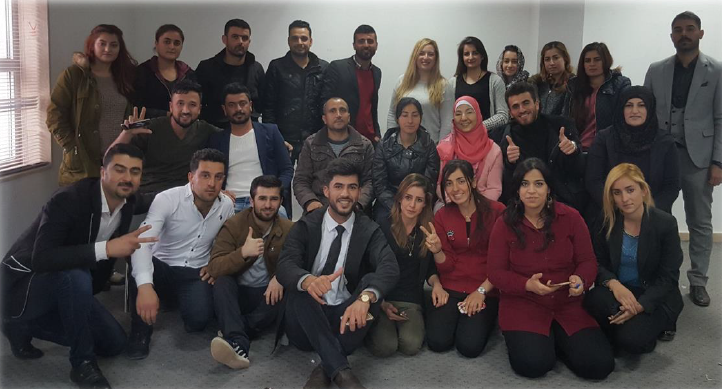 Trainees are all Kurdish from North Iraq, who speak Arabic and Kurdish fluently. 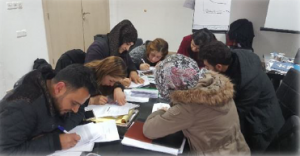 A total of 24 participants took part in the training (equal genders; aged 21-45 years). Twenty-two are SOS-children volunteers and the remainder two participants were employees of a not-for-profit organisation called Humanity. Of the 22 participants 16 were internally displaced and residing in the target camps; these participants fled ISIS invaded areas in 2014 and have been living in Dohouk camps since. They are full-time volunteers with SOS-children and have been brought on to run the TRT program and other child-friendly activities. The remainder participants were volunteers from Dohouk university and plan to commit 1-day of TRT implementation a week. 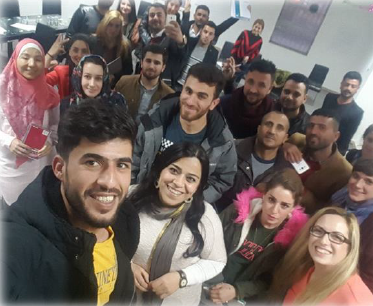 SOS-children recruited a project manager and logistics manager for the TRT program to lead and follow-up on implementation. Participants were picked up from a meeting point nearby the camps by SOS-children transport. The training was held in a mental health centre in the centre of Dohouk city. The training was held for four consecutive days from 9am until 5.30pm. The first three days of the training were spent on the TRT manual. The final training day was spent on training the team on the implementation plan and the pre-post survey assessment tools. 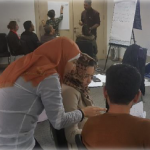 Different activity and role plays were selected during the training days – some were conducted in small groups and others with the whole group. 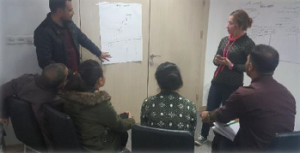 This gave the chance for everyone in the group to practice multiple times delivering children sessions, and obtained comprehensive feedback on ways to improve their delivery. Despite not having any previous knowledge or experience in the field, the participants grasped the concepts extremely well. During practical exercises all participants demonstrated their ability to practise the techniques on one another and to demonstrate their skills in front of the trainers. Participants were very pleased with the training, and expressed great benefit from the interactive role play and activity sessions during the training. There were some language challenges as some felt they could deliver sessions better in Kurdish language than in Arabic language. 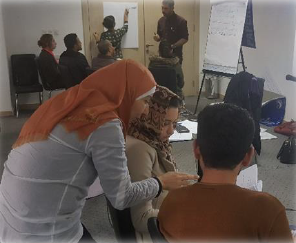 As a result some role play activities were conducted in Kurdish and a participant was nominated to interpret into Arabic for the lead trainers. - SOS team: Katharina Ebel for her leadership, determination and hard-work in setting up psychosocial services and building a great team. Choreen Badi for her project co-ordination during the training. - The Children and War Foundation for their partnership, making available the training material and continued support. - The volunteers, for their commitment to learn and determination to help children.